Anger is a natural emotion that runs alongside us during our entire life. By the end of the first year, infants use this budding emotion as a way to communicate that they are hungry or need a clean diaper or are simply upset about something they have no control of. As adults, this lifelong partner of ours will ring a warning bell that tell us something is wrong with a situation. Our adrenalin kicks into gear, endowing us with a hidden kryptonite-like strength to battle any outside threats to ourselves, our property or to our loved ones who might be at risk. Anger is always there simmering below the surface and how we control it will determine what type of person we become in life and how others perceive us. 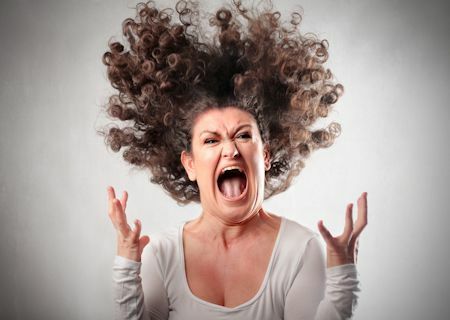 Anger has two definitions in the Bible, two Greek words meaning “passion and energy”, while the other means “agitated and boiling.” Anger is a God-given source of energy intended to help us solve problems and is referred to many times throughout the Bible as a means to right an injustice or a wrongdoing to others. However, it can also be considered downright sinful when anger is motivated by pride or it is allowed to linger deep inside of us, and especially when it is used to painfully attack the wrongdoer, with little regard to their thoughts or feelings. There are several components to anger, one being the physical one that gives us the ability to fight anything blocking our path. It is more commonly known as the “fight or flight” response to fear or physical and mental threats and it affects our health in ways that we don’t even think about. It starts with that rush of adrenaline that increases our heart rate and blood pressure, and all our muscles start tightening, ready to strike out at whatever or whoever triggered our anger. People are able to overcome physical limitations during this heightened state of agitation and fury. Then our behavior steps up to the plate, ready to be part of this energized but potentially harmful game. The cognitive way we react to something describes who we are as people, down deep inside. Somewhere between crawling on the floor as an infant to when we crossed the adulthood starting line, we all learned to deal with anger in the following ways. See which personality you seem to identify with and take the poll below please! 1) The Teflon Man – There are those people who just shake it off, not allowing anger to get under their skin and control their lives. These easy going folks seem to be coated with Teflon, and no one can ever seem to evoke any level of anger from them. 2) The Slow to Simmer – Then there are some that become extremely quiet, their anger simmering while they ready themselves to strike out against the threat, but they temper their emotions in order to evaluate all sides of a situation. 3) The Loud and Louder – Others start yelling louder and louder, their faces turning red, they stomp off and slam doors, and any chance of calming things down is pretty slim, like a thimble full of ice water tossed onto a blazing bonfire. They have reached a level of anger that begins clouding their ability to see both sides of a situation in a reasonable way. 4) The Spewing Volcano – Then there are those people who can go from being loving and kind one moment, to rushing up face-to-face with the wrong-doer, their eyes like flashing fiery red coals within moments, their heads appearing to spin madly, uncontrollable ugly words spewing out, and anger completely consumes their very being, rendering their previously loving mental state to that of a wild animal’s. There is no turning back to the good times that just faded away, the hurtful damage has already done its hateful job and everyone should take cover as the fury of anger spills over like steaming hot lava, spreading over everyone in sight. Anger allows us to express our frustration in a normal healthy way. It can motivate us to stand up for ourselves and correct injustices. When we manage anger well, it prompts us to make positive changes in our lives and we become stronger, more resilient to future threats that will come our way. But it is often just a perceived threat, not even real in any shape or form, just a simple misunderstanding between two people that festers out of control, so think twice before allowing that anger to rise up inside. It needs to be stopped dead in it’s tracks quickly in a heated conversation. Just taking a few deep breaths, or walking away for a few minutes to allow things to calm down, will often redirect the emotion and thoughtful reasoning can return to the situation. Recognize how you respond to threats and anger and make a commitment to think about your reactions, what comes out of your mouth and if necessary walk away quickly from that spewing volcano across from you before you turn into one too. Anger is a double-edged sword that can help you fight injustice, but it can also pierce someone’s heart when you become wrathful towards them.